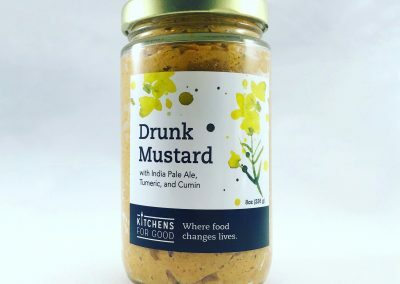 This is more than just a jar of mustard or jelly. This is an investment in second chances. 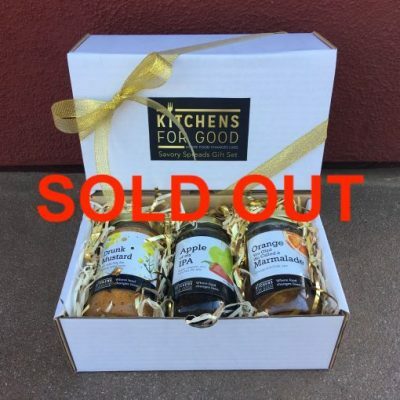 Every purchase of our savory spreads supports our mission to break the cycles of food waste, poverty and hunger in San Diego. 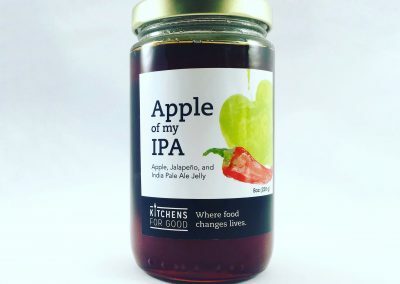 Kitchens for Good’s line of savory spreads feature condiments and spicy jellies that are boast a unique and delicious flavor, featuring a spicy kick and local craft beers. The spreads utilize local and organic ingredients, and are made by our Chef and graduates in our kitchen. Perfect for bbqs, charcuterie boards or a flavor boost for your cooking- these items will become staples of your kitchen. Product can be purchased at our office or online. One of our most unique combinations of flavors. 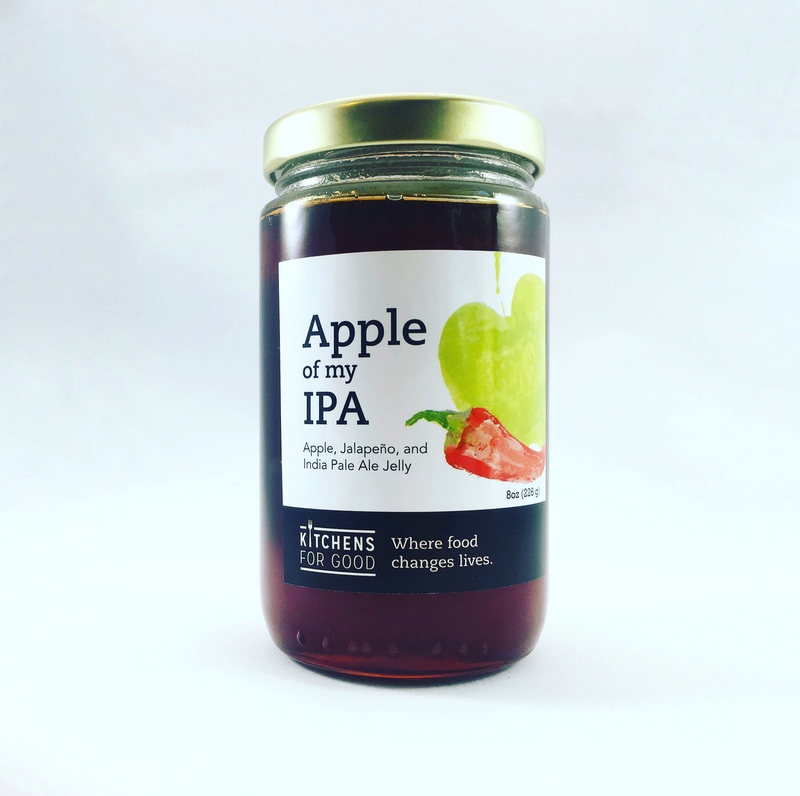 Made with tart Granny Smith apples, red jalapenos, red bell pepper, apple cider vinegar, and local IPA beer. We use a nature pectin made from even more Granny Smith apples and lemons for a truly concentrated flavor. 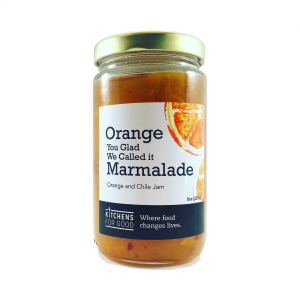 This jelly is versatile and can be used as a marinade, in sauces, as a glaze on pork or chicken, or just on an english muffin to give your breakfast a kick. 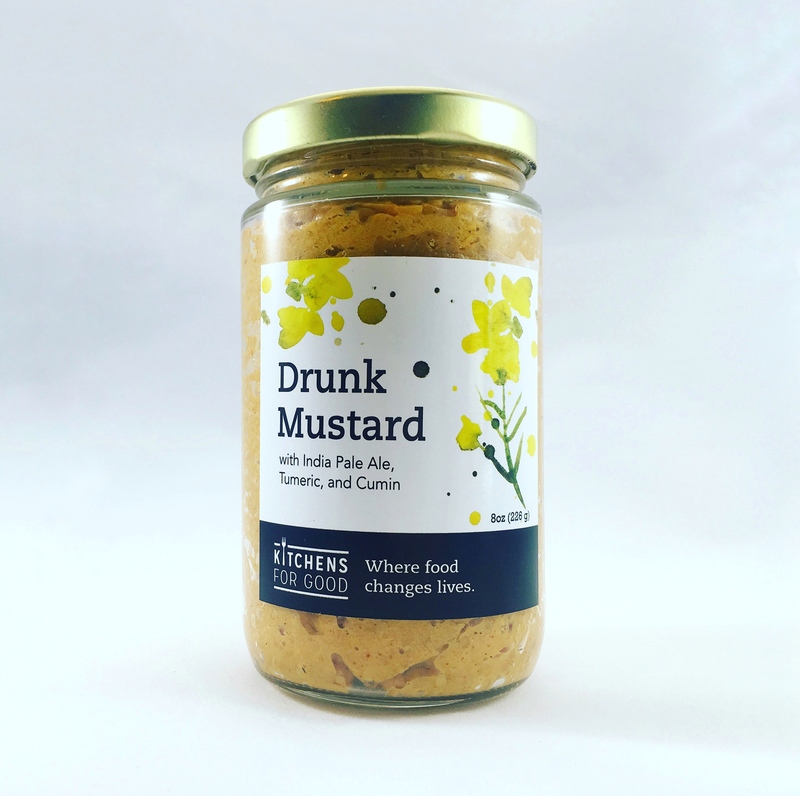 A strong , smooth, yellow mustard made with locally brewed IPA, dry mustard, and ground yellow mustard seed. Adds a great spice with a with hint of hops and horseradish on the palate. Use it anywhere you would use dijon. 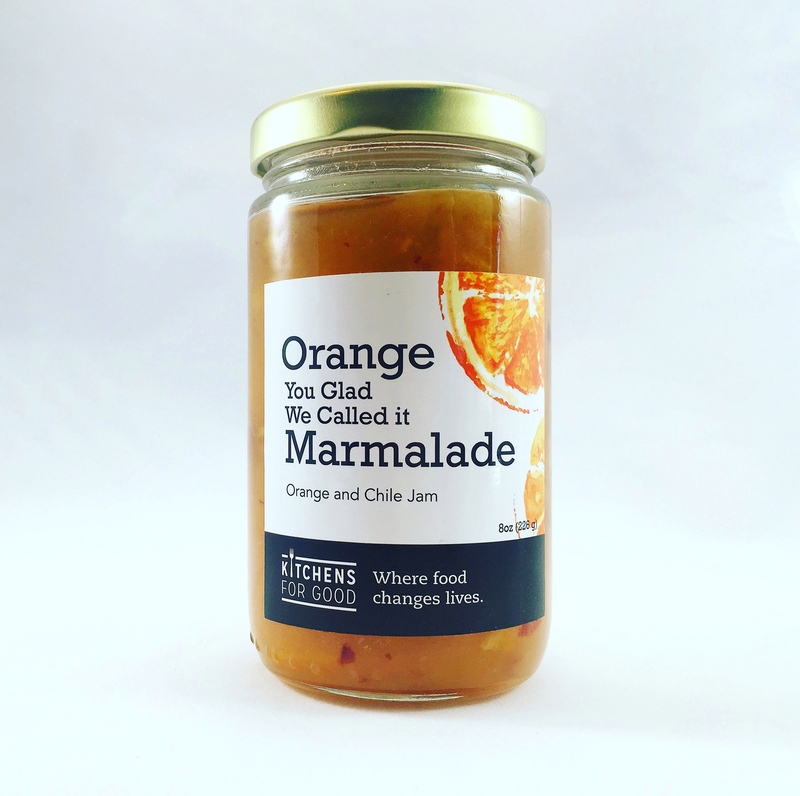 We took the traditional Orange Marmalade and added just the right amount of crushed red pepper flakes to make a sweet spicy orange jam. Great on chicken, pork, lamb and beef. This sauce will be your secret ingredient! 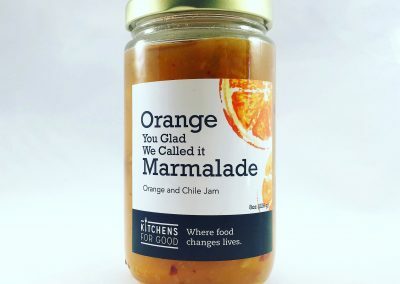 COPYRIGHT © 2019 KITCHENS FOR GOOD, ALL RIGHTS RESERVED.